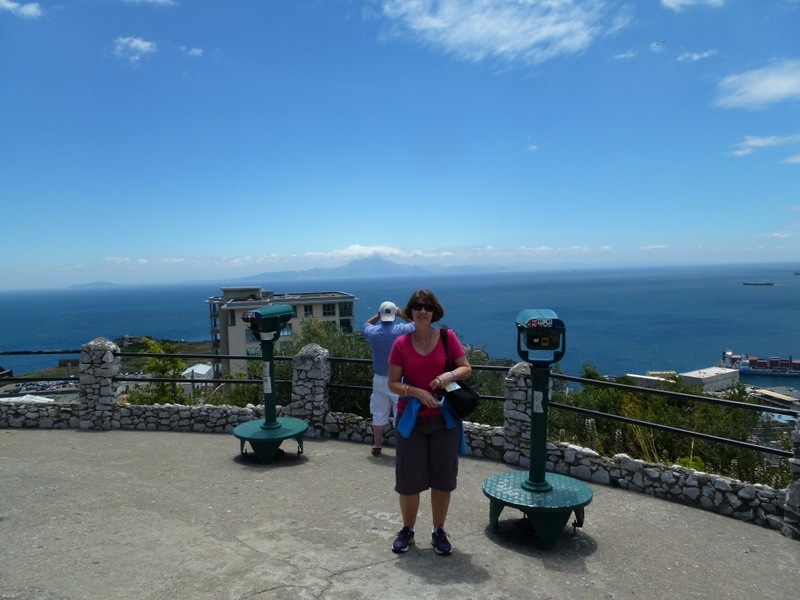 Gibraltar is an easy day trip from Montecorto and we drove an interesting inland route then returned on the fast motorway system on the coast. parked in Spain and walked over the border crossing with the streams of visitors . Gibraltar is a hectic and crowded place – a vibrant economy that is humming – no unemployment to speak of – in fact it has several thousand Spanish workers crossing every day to work in the many business that make up this island. This little piece of England – since 1704 – seems destined to survive – several referendums by the locals have given a mandate for continued UK identity/ ownership. The Spanish Polly’s are understandably not so happy , but life goes on. 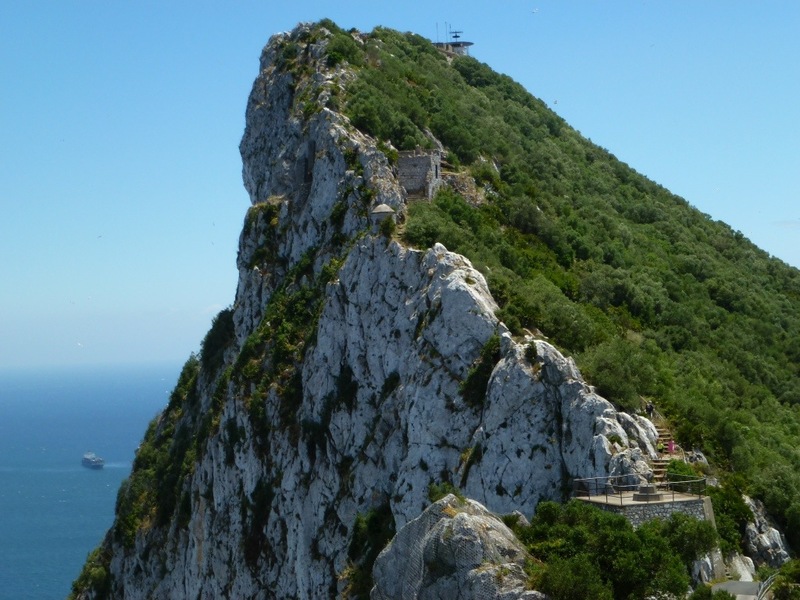 The rock is now a veritable honey comb of tunnels began first in the ” Great Siege 1779-1783″ and later during WW2. It no longer has the strategic significance of the past and is not a major military asset for the Poms any longer. 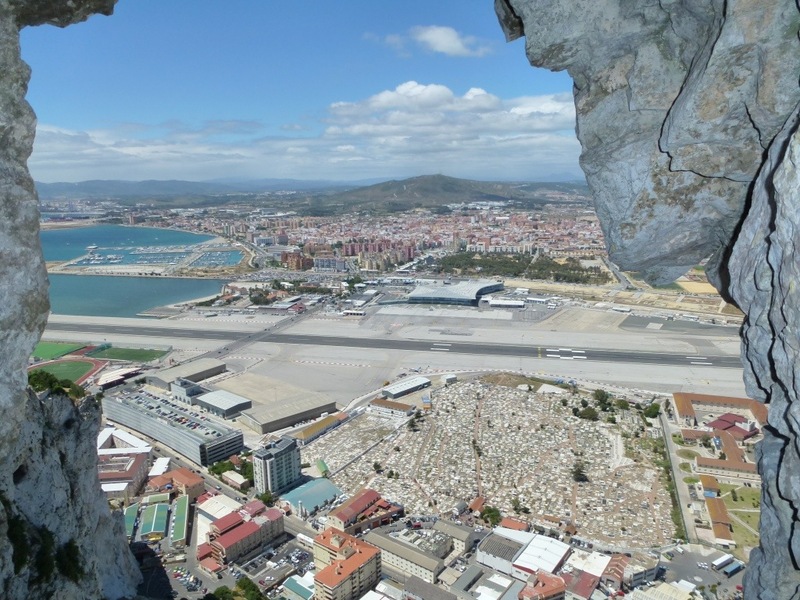 This pic from inside the Rock – one of the tunnels built in 1779 – this gun emplacement looks toward Spain and down on Gibraltars airport runway. 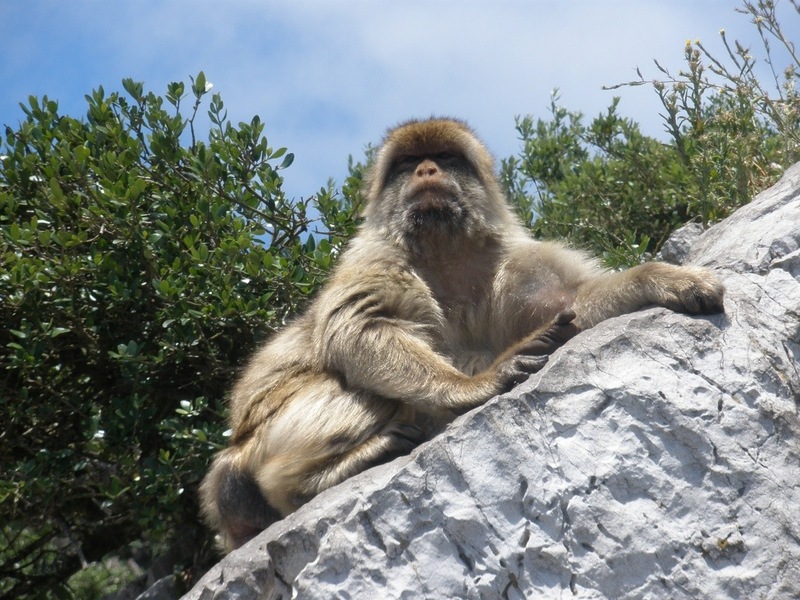 Gibraltar is an ancient limestone rock and the island has a number of interesting cave systems. 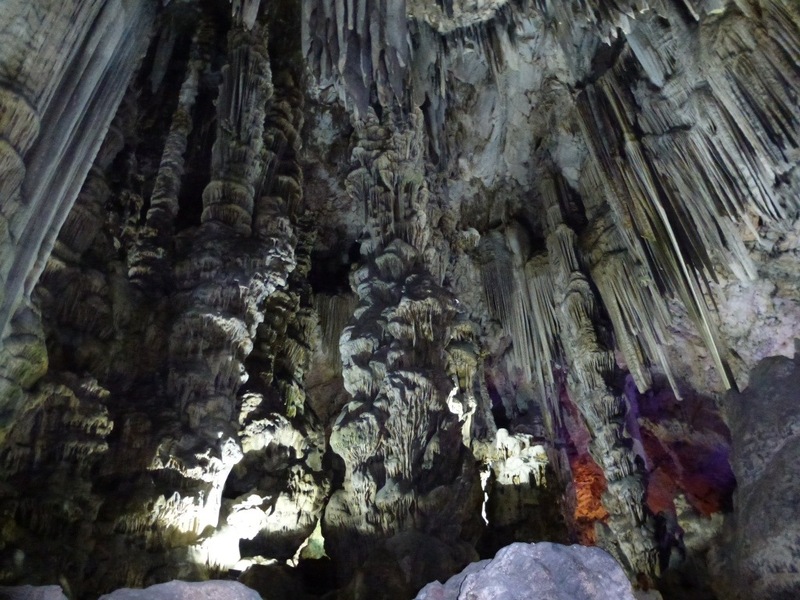 this one –St Michaels cave.